Hi! Tell us about yourselves. Opium: We’re all full time musicians/music teachers, except our lead singer, Ingrid, who did acting, flamenco dancing and singing before starting the band with Bernard, our guitarist. Ingrid usually comes up with the main melody/groove song structure and some specific sounds she has in mind. Arrangements are the band’s work. We venture into so many different styles it’s difficult to pin down what we do exactly! Waterfunk: We’re a local indie five-piece who play pop-rock, blues, soul and funk. And what are your thoughts on Hong Kong’s live scene? Waterfunk: Hong Kong is a very busy city. People here spend their life here trying to earn money but often neglect the beautiful things in this world. Generally, they tend to pick up their earphones and listen to music but without ever having been to a live house or watched a live performance. How important are events like The Gig Week in keeping live music in Hong Kong alive? 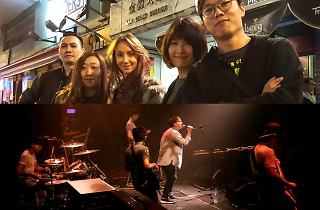 Opium: This kind of event raises peoples awareness about the existence of the massive number of bands in Hong Kong and gives them a sampling of their variety and quality. It gives bands access to stages where they would never be able to perform otherwise. How difficult is it to progress in the scene here? What can be done to improve the situation? 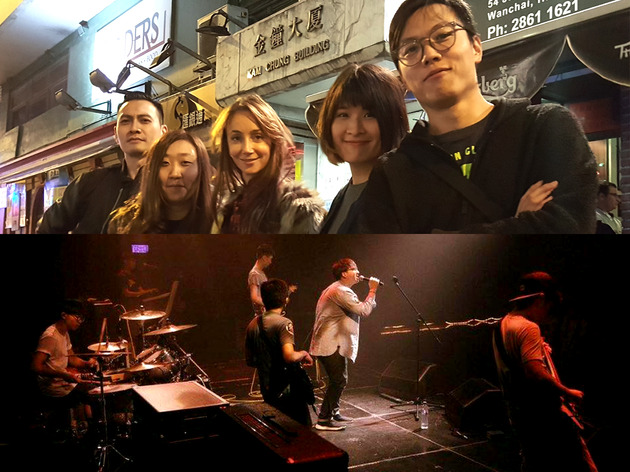 Opium: Unless you’re famous, it’s tough for musicians in Hong Kong to make things happen, especially when you have to juggle work, family, rehearsals and gigs. Money is at the core of the problem. Waterfunk: Though it’s difficult, it’s not impossible. It’s more about the public hopefully taking a greater interest in indie music and experiencing a broad range of genres as opposed to just Cantopop. Any tips for anyone looking to get involved in the scene, start a band, organise a gig etc? Opium: Be true to yourself. Give everything. Don’t expect anything. Waterfunk: Hard work and patient are what's key. Opium: If you wanna check us out before the gig tonight, head to our Facebook page!